TAKDO: Onward Together, One Medicine, One Central Visayas. The Association of Philippine Medical Colleges-Student Network (APMC-SN) proudly concluded its much-awaited sporting events known as Medlympics 2019 among medical schools in Central Visayas which was held at Sacred Heart School-Ateneo de Cebu, Mandaue City, Cebu last January 26-27, 2019. 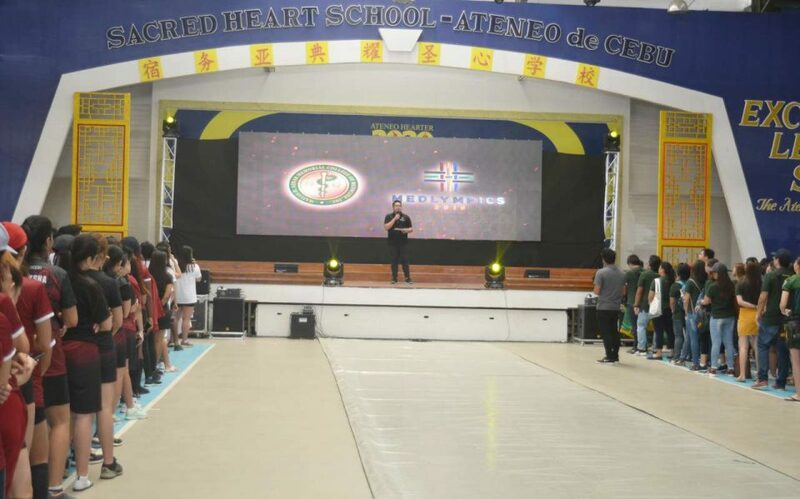 Started with an ecumenical prayer led by MHAM student leaders, the annual gathering among future doctors in the region was hosted by the Matias H. Aznar Memorial College of Medicine, Inc. with its theme, “TAKDO: Onward Together, One Medicine, One Central Visayas to celebrate camaraderie, sportsmanship, and unity in the light of sports”. The oath of sportsmanship was led by Ms. Katherine Jumapao, a 26-year-old triathlete who was also crowned as the first Renaissance Cebuana 2018. Joining her on stage were representatives from each participating school who took the lead in abiding and adhering all the conditions and rules for Medlympics 2019 set forth by the organizers of the tournament. A vernacular language in the Visayan region which naturally means to connect or to become united or interconnected, ‘takdo’ signifies solidarity and unison among APMC member schools in the name of sports. 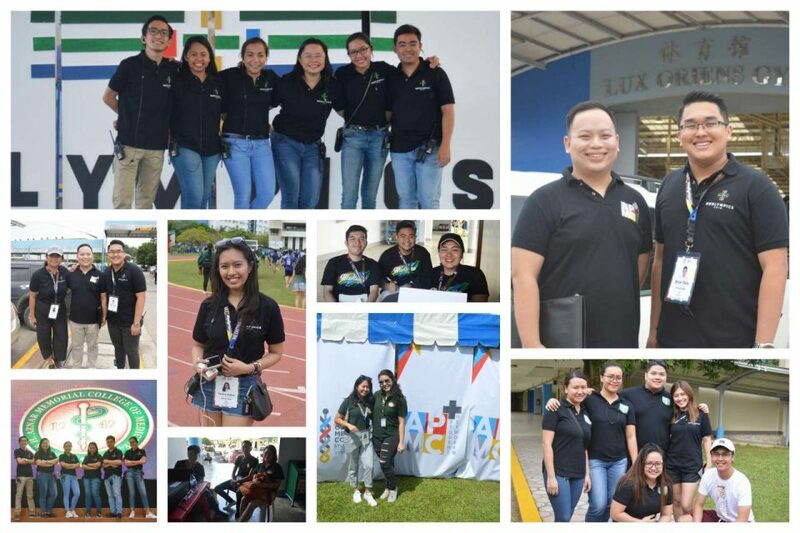 This year’s Medlympics also symbolized interconnection with the same wavelength of affinity among medical students in as much as cultural activities are essential along with academics in the medical field. As the only college dean who attended this year’s ‘takdo-themed’ Medlympics, Dr. Ma. 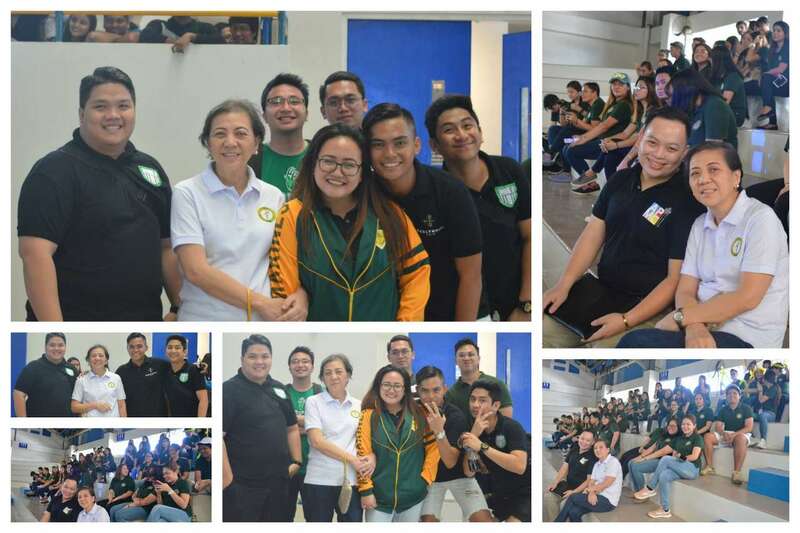 Socorro Manaloto graced the opening ceremony and joined her beloved Matias students who spearheaded the 2-day sporting event with the MHAM way. Master of ceremonies and former host of ABS-CBN Cebu’s Mag TV Na magazine show, Jonathan ‘OJ’ Cimafranca, cited that the gathering was indeed an exciting tournament from the different medical students in Cebu City, aside from acknowledging them as the modern day heroes with the heart to serve. This year, only six medical schools were able to participate the event, namely; MHAM College of Medicine, Inc., UV-Gullas College of Medicine, University of Cebu School of Medicine, Cebu Doctors’ University College of Medicine, Cebu Institute of Medicine and SWU Phinma School of Medicine. In his welcome address, MHAM Student Council President & Project Head for Medlympics Central Visayas 2019, Bryan Jay Carlo A. Paña, expressed his gratitude to all who worked together in making the event exceedingly fruitful. “Allow me to take this opportunity to thank all of those who work with us towards making this event successful. It is an honor and privilege to host this year’s Medlympics and we hope that you will enjoy the stay and to meet and build connections towards the other schools”, 23-year old Paña said. A fun-filled match for the glory of sports in the spirit of fair play for one Medicine and one Central Visayas, the MHAM organizing team created a difference this year by introducing the yell competition by each school right on the bleachers of Magis Eagles Arena. Judged by Cheene Mariz Sinining, Jhan Patrick Bargamento and Eunilyn Chua, the yell competition, on its first, was a separate competition and therefore, it was not included in the overall ranking since it was an exhibition event only. Meanwhile MHAM student leader and current National Executive Vice President for APMC-SN, William C. Tiu Jr., officially open the Medlympics 2019 in behalf of the APMC-SN National Executive Board. A member of the Board of Trustees of Sacred Heart School-Ateneo de Cebu Alumni Association, Tiu is the first Cebuano to hold the VP position in the national level for twenty-five years in the APMC Student Network, an opportunity to someone like him outside NCR to become the bearer of hope for the medical schools in the region as their voice in the national seat. Aside from his encouraging message to all the participants, the National Executive Vice President also greeted his fellow Ateneo Hearter alumni and alumnae who are also in the pursuit of Medicine. 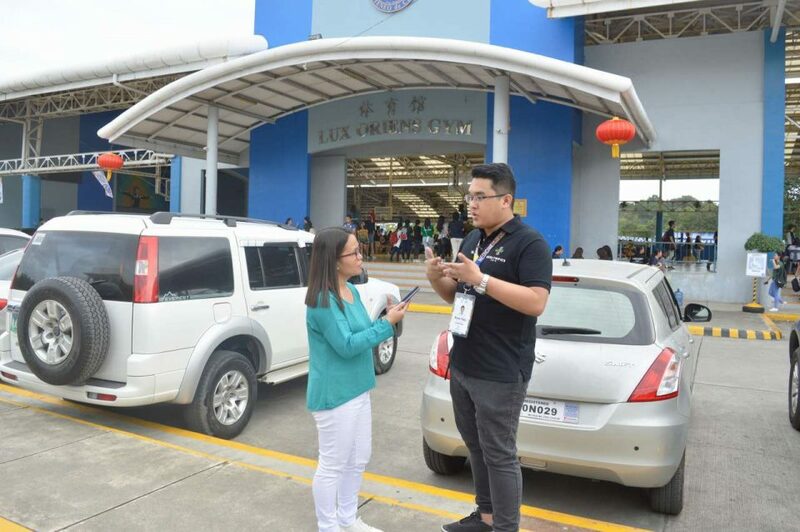 In an interview with Bryan Jay Carlo Paña, he delightedly divulged that this year’s MHAM-led Medlympics was aimed to build encouraging connections and unity among medical students in Central Visayas. “With our aim to build connections with other schools in Central Visayas, we step up to create a difference in Medlympics this year by introducing the ‘TAKDO’ concept which means to unite and unify other medical students under APMC. Ever since it has began, the concept of Medlympics was more on rivalry, and that’s when we had to initiate some changes to break the barrier among member schools. Although competition in itself is still there but our main goal is to build friendly connections where intense competition among athletic teams is no longer the core of the event”, Paña said. Motivated to keep going and growing with the people who steered him to serve with love, the overall head who is a native of Davao City, cited that the Medlympics logo has its significance in relation to its theme. “Our logo is cross; it signifies the colors of different schools, and the intersection symbolizes unity among participating teams. It’s the first time to do it in the Visayas and as MHAM has set this concept, every year there will be a relevant theme which is something new that the APMC-SN will follow in the next Medlympics season”, he added. The MHAM Student Council President, who continued to lead the SC in order to bring forth the essence of leadership and learning reflected in the standards that the current officers have set for themselves, also pointed out that as a host school, the MHAM SC student leaders were working together as a team from planning to performing their designated tasks for bringing the ‘One Medicine, One Central Visayas’ into a fruition with a sense of fulfillment. “I felt so blessed for having people in the Student Council who are bound and devoted into service even with the fact that more than half of the current officers are new. Since the responsibility is indeed a great task to handle being the overall head, I decided to divide the team to take the lead for the overall Medlympics and for the MHAM delegation because being the host school and at the same time a participating school, I don’t want that the MHAM delegates might be left behind. Weeks prior to this event, I reminded each school representative during our two Friday meetings to create a difference in this year’s Medlympics with lesser disputes like the previous years and to build connections among participating teams with a friendly competition instead of a brawling rivalry”, the overall head concluded. 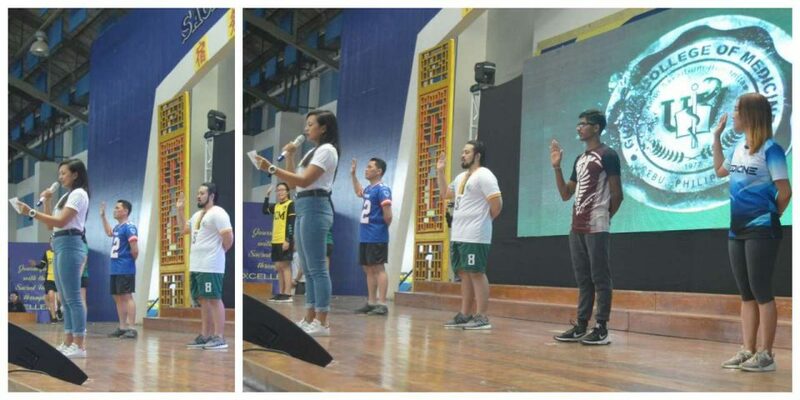 Working together as a team, SC Executive Vice-President, Athena Marie Anog, served as the head for the MHAM delegation while Bryan Jay Carlo Paña was the overall head for the Medlympics 2019. Establishing athletic relations driven with discipline and camaraderie for One Medicine, One Central Visayas, this year’s Medlympics was composed with various sporting events which include larong pinoy, dota 2, track and field, ultimate frisbee, volleyball, soccer, table tennis, badminton, basketball, swimming and quiz bee. To complete, the coveted Search for Mr. & Ms. Medlympics 2019 participated by five medical institutions in Cebu City added color and fun followed by the awarding and closing ceremonies facilitated by the Matias student leaders and organizing team. Reaping the harvest of teamwork and discipline, CDU was hailed as this year’s overall champion, followed with SWU Phinma, CIM, MHAM, UV-Gullas, and UC. A time honored and cherished tradition in annual big events, a fireworks display which was done for the very first time in Medlympics history ended the MHAM-led Medlympics 2019 celebrations with pride and honor for hosting the significant event among aspiring doctors in Central Visayas. 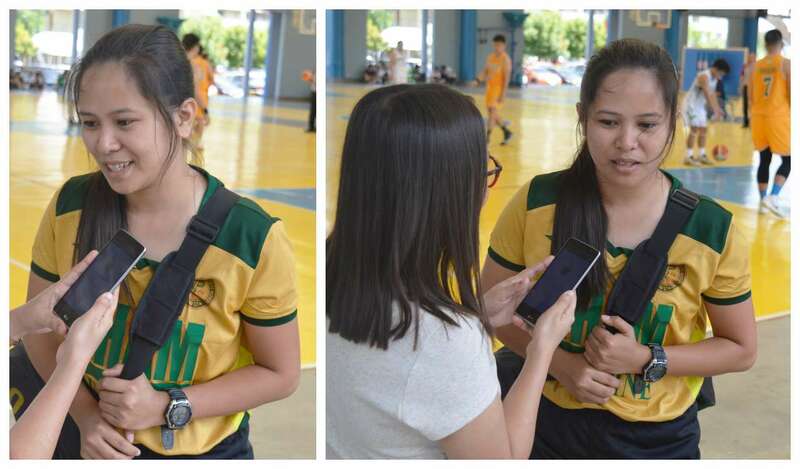 Among the MHAMDragons’ women athletes who fought a good fight with the MHAM way was a graduating student from batch Nexus. 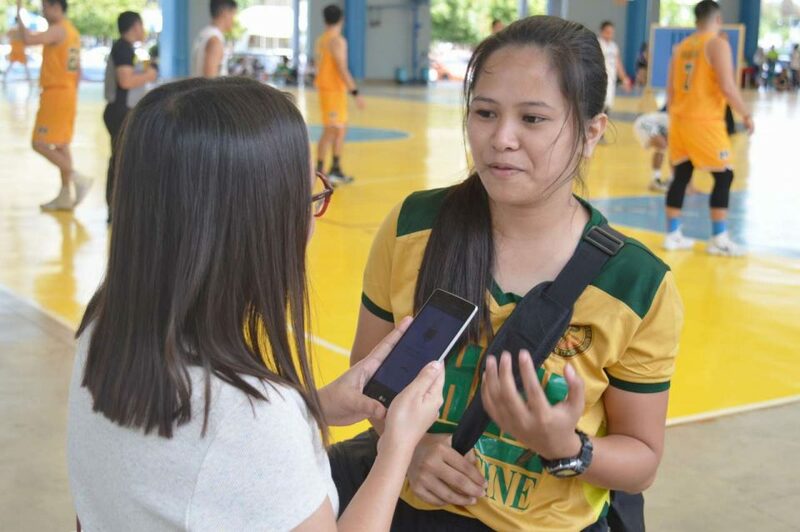 A native of Los Angeles, Butuan City, Smith Klenn B. Dumas, proudly expressed that being an athlete for the MHAMDragons, was one of her significant moments as a medical student. A strong-willed athlete for track and field, soccer and basketball since her college years, Smith, as she is fondly called, played for 3000-meter run in track running event and basketball for women this year. 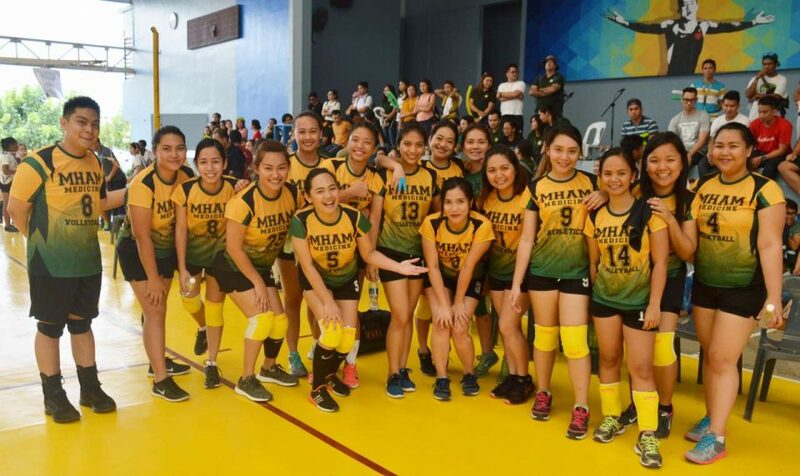 “Aside from pull out is life, I am just enjoying this moment with much delight with the opportunity to play for one last time for the MHAM team before I graduate. Even if I did not get the first place for 3k last year and this year, I am so happy and thankful for being part of the MHAMDragons whom I will surely miss. I might say goodbye Medlympics but my heart as a MHAM athlete will always radiate in my next endeavor in the medical field”, 25-year old Smith said in an interview. A graduate of BS Biology as her premed degree from MSU Marawi, she is looking forward to be part of Class 2019 future doctors who will grace this year’s 69th Investiture and Commencement Exercises as graduates. Regardless of wins and losses from different sporting events, the athletic teams from six medical schools ended the yearly fellowship among the country’s future physicians who valued fitness and solidarity in the name of sports. One Medicine. One Central Visayas. Well-esteemed with its grand and laudable hosting during Medlympics, MHAM was also recognized in 2015 on its remarkable spearheading where leadership and learning is always conjoined. To date, these student leaders are bound to grace the 52nd APMC-SN National Convention this month to be held at De La Salle Medical and Health Sciences Institute in Dasmariñas City, Cavite.